Da Nang has been ranked 6th among the top destinations and trends in the world for 2019. "Say ‘goodbye’ to Ho Chi Minh City and hello to Da Nang. Located in Vietnam’s north (sic), low-cost carriers like Air Asia and Jetstar can get you there on the cheap, and from this city, it's an hour's drive to Hoi An, a beautiful town well worth your time," Finder wrote. 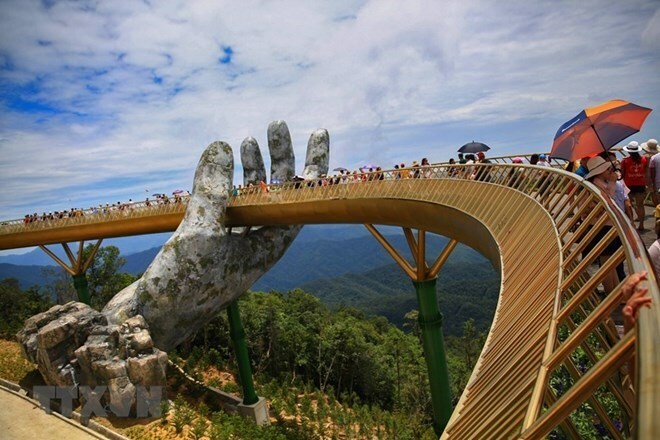 The site gives tips on how to make the most out of a trip to Da Nang. "Da Nang has a beautiful beach, but it's also only an hour's drive from Hoi An. Split your time between both (because you can) and take the fast route by taxi between each. These are quite inexpensive, so it won't blow too much of that budget." Lisbon (Portugal) tops the Finder’s list, followed by Malta, Turkey, Jordan, Japan, Da Nang (Vietnam), Perth (Australia), the Netherlands, Uzbekistan, Georgia, Durban (South Africa) and Bacalar (Mexico). Earlier this year, the central city was voted by travel magazine Live and Invest Overseas as one of the most livable cities in the world.